A recent ruling in B.C. that grants common-law partners the same fundamental rights as married couples after two years of cohabitation has cast a light on how common-law couples are treated in other provinces. Here's a look at some of the biggest misconceptions. A recent ruling in B.C. that grants common-law partners the same fundamental rights as married couples after two years of cohabitation has cast a light on how common-law couples are treated in other provinces. This week on CBC Live Online, host Lauren O'Neil speak with experts about the patchwork of marriage-like designations for common law couples across Canada. Join in on the discussion at 7 p.m. ET Thursday, March 21. Common-law relationships typically refer to couples that live together in an arrangement akin to marriage, but without an actual ceremony or legal documents. However, the notion of living "common law" is a complicated one, and its meaning varies greatly across Canada. Here’s a look at some of the biggest misconceptions about common-law partnerships. 1. Common-law unions are the same across the country. Legally, common-law relationships fall under provincial jurisdiction, and so what constitutes such a relationship and how it is viewed legally differs greatly from province to province. The B.C. ruling on March 18 essentially treats common-law partners the same as married couples — under a new definition of "spouse," common-law couples in B.C. that have lived together for two years now have the same rights and responsibilities as married couples. In Alberta, common-law relationships are referred to as "adult interdependent partners." This is deemed a common-law relationship when the couple has lived together for three years or more or has a child and live together. In Newfoundland, after two years of living together in a conjugal relationship, a couple can be considered common law. In Nova Scotia, a couple must live together for two years before being entitled to any possible spousal support; they would not be permitted to claim property, including a family home or car. 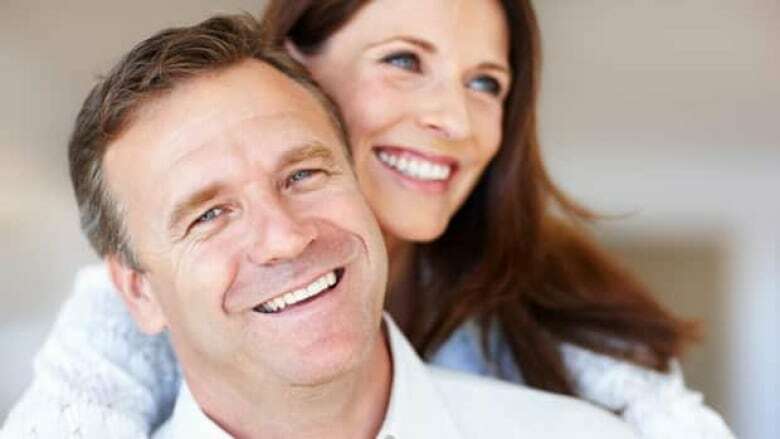 In order for unmarried couples to have rights, they can register as being in a "domestic partnership" under the Nova Scotia Vital Statistics Act. In order for a couple to have common-law standing in Ontario and Manitoba, they must be living together in a conjugal relationship for three years or more, or one year with a child. In Manitoba, the couple could register their common-law relationship at the Vital Statistics Registry. Ontario Justice Harvey Brownstone said there is no registration in his home province. In fact, as he points out, in Ontario, "common law" is more of a vernacular term. "There is no such thing as ‘common law’ in Ontario law — that term doesn’t exist," he said. Quebec is the only province that does not recognize common-law relationships. The Supreme Court of Canada ruled in January 2013 that provinces had the right to decide if common law couples should get the same rights as married couples, and so has allowed Quebec to continue excluding common-law-style relationships from being recognized no matter how long two people have lived together. "There are no legal perks in terms of the legislation," said Robert Teitelbaum, a Quebec lawyer specializing in family law. "Perks like sharing in the Quebec pension plan are possible, or certain contracts for insurance purposes about beneficiaries… But that is independent of actual provincial legislation." 2. In the event of a breakup, assets are divvied up. Living together in a relationship similar to marriage may make you "common law" in most provinces, but it does nothing with regards to the division of property acquired during the relationship unless a cohabitation agreement or some other form of legal agreement was made between the couple. In Ontario, "There’s no such thing as matrimonial property in these relationships," said Justice Brownstone. "We use the law of constructed trust to protect people’s property rights, so if you’ve been living common law and you’ve been contributing to a home that the other party owns – either because you paid for renovations or because you were the one maintaining it – you can make a claim for property." Brownstone added that this is not in any way based on the same kind of principles as being married. Rather, he said, "It’s based on the law of resulting trust. We use trust law to protect common law property rights." This is why the recent B.C. ruling is unique, because now, couples who have been living together for two years are entitled to a 50/50 split of shared debts and assets — excluding any pre-relationship property or inheritances. Quebec’s lack of recognition of common-law couples means that the there is less confusion when it comes to the division of property – what one person owns, they keep. "If someone contributes towards someone else’s property, like anyone else, they can make a claim – but it has nothing to do with the fact they lived together as a couple," Teitelbaum said. Essentially this could be the case with roommates as much as couples when it comes to civil law. 3. Unless you were married, you are not entitled to spousal support in the event of a break-up. It’s unlikely that a common-law couple that decides to split will deal with spousal support, but it is possible, depending upon other factors. Much like in marriage, spousal support is not automatic, but is given only when one party is seen as entitled to it. According to Justice Brownstone, spousal support for Ontario common-law couples is possible if there were "economic consequences" to the break-up. If one person in the relationship supported the other person regularly – or, for example, one person had to give up their career in order to care for a child — then they could be entitled to spousal support. "If you live together three years and don’t have kids, you are treated as a spouse for support purposes," said Brownstone, but stressed that "spousal support is not that common." In Alberta, an adult interdependent partner can bring a claim for spousal support, and the same can be done for common-law couples in Newfoundland. Under New Brunswick’s Family Services Act, spousal support is also possible for common-law couples. 4. Children do not change or affect the common-law standing. The presence of children can significantly affect the way a common-law relationship is viewed in the eyes of the law. When a cohabiting couple has a child, they are often viewed as common law years before a childless couple would be. Even in Quebec, where there are virtually no benefits for common-law couples, children are part of the few "extenuating circumstances." According to Teitelbaum, if two people in Quebec live together and have a child, but only one person owns the house, the other can make a claim for partial use of the house during initial separation — but only for the sake of the child.